How many people stay on Fetlar? There are currently just over 60 people permanently resident on Fetlar. From within Shetland you can get to Fetlar by car or bus and ferry. From outside Shetland please see our transport page. Is it expensive to get to Fetlar? It is not an especially cheap holiday option, but by watching for special offers the costs can be reasonable. Peak season is usually busy and offers are usually very limited. Are there any places to stay? Yes there is a B&B at Gord, and self catering cottages; The Lodge and Peerie house in Houbie, and a Camping Bod at Aith. Are there any places to eat? The B&B do meals for non residents by prior arrangement. There is a Cafe at the shop which normally runs during shop hours, see this link for latest details and opening times. Over winter months the cafe is currently open limited hours on Fridays only.Please contact them to check on latest opening hours. Fetlar Interpretive Centre is open May-Septemebr inclusive 7 days a week and offrers hot drinks and snacks such as biscuits and confectionery. There are public toilets available at the ferry terminal at Hamars Ness year round. The Fetlar Interpretive Centre and Fetlar shop & cafe both have toilet facilities available during opening hours. The weather in Shetland can be very changeable. In general it is cooler in Summer than mainland UK but in winter tends to be milder without the extremes in temperature. Winds can be very strong especially during winter months. When and where can i see the red necked phalaropes? The best times to see them are from late May/early June through until early July. They may well be around outside of these times but there may be fewer birds around. The best place to see them is generally around the loch of Funzie or from the RSPB hide. Please be aware that if the weather is not good they are often difficult to find. Companies such as Shetland Nature or Shetland Wildlife can provide guides who can help greatly improve your chances of seeing them. Is there a pub? There is no pub, but the Hall bar is open every Saturday night and many people gather there for a few drinks and sometimes some music.The shop can provide off sales. Is there a mobile signal? Mobile coverage on the island is quite patchy. Vodafone has the best coverage, for other operators coverage is poor. There is limited Vodaphone 3G coverage within the village of Houbie. As of 2018 vodafone has been improving its 3G coverage and EE is developing a 4G network, although no date is given for its launch. Is there wireless access anywhere? 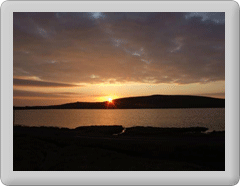 What events are on in Fetlar? No, Shetland has never had a Gaelic culture, its influences come from Scandanavia. Many Shetland Dialect words have direct Scandanavian equivalents. Especially noticeable are the Shetland names for birds many of which are used regularly eg a Bonxie is a Great Skua. How can I comment on my visit? Pleas feel free to use the contact form on the website to provide us with any feedback, or to ask any questions. Is there fuel available on the island? Yes, in common with the rest of the UK mains supply water is safe to drink. Please note however that the toilets at the ferry terminal are not on the mains supply and the water there is not drinking water. Is there a school ? Yes Fetlar has a primary school which also offers nursery education. For secondary education, pupils either have to travel daily off island to attend baltasound JHS on Unst or can board at the new Anderson high school in Lerwick. There is no charge for pupils boarding.